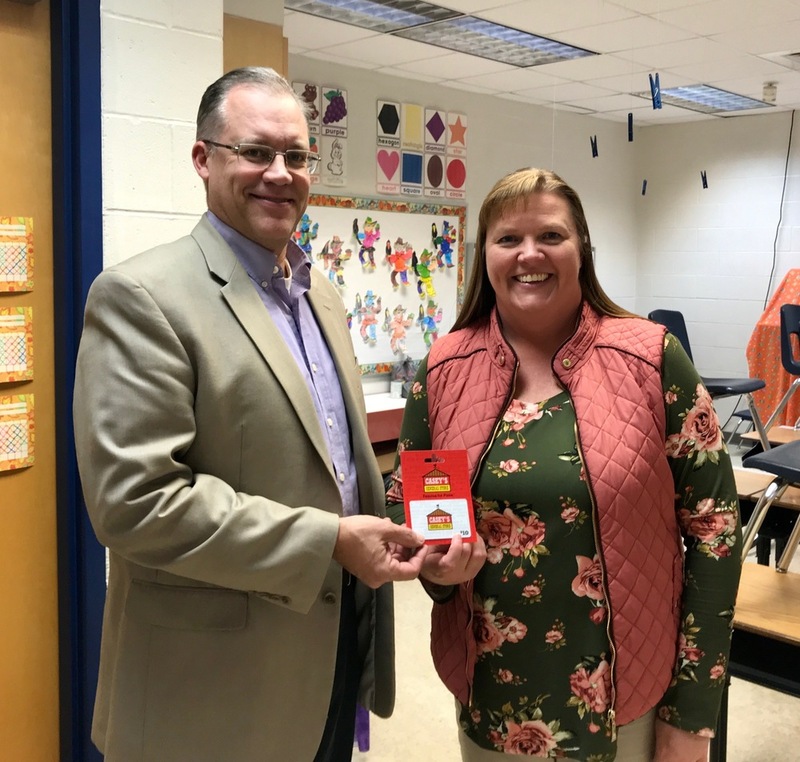 Michelle Holman is the winner of the random drawing for the November “staff member of the month” at St. Elmo CUSD #202. Michelle is currently in her 9th year teaching Kindergarten at St. Elmo Elementary School. She previously taught Title I Reading. This is Michelle’s 23rd year teaching in the district. When asked what she likes best about her job, she said that she loves the moment when students are working on something and they really start to understand it. She also said that it is awesome when her kindergarteners start sounding out words to read. Michelle says her hobbies include reading and shopping. She also enjoys spending time with her family. Michelle and her husband, Eric, have been married 23 years. They have 2 daughters—Lexie (age 20), and Kaylin (age 17). Michelle will receive a $10 gift card, compliments of Casey’s.